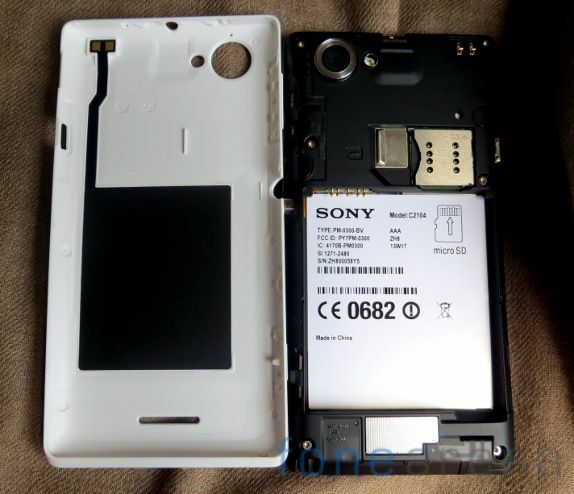 The Xperia L is billed as a low-end device, but features some fairly impressive mid-tier specs. But you will pay for the improvement, with the phone costing £249 (SIM-free) The Xperia L is not going to win any design awards. Unlike its big brother the ‘Z’ it does not look like a black monolith. This handset has wedge ends which slope away to a noticeably arced back cove. It looks odd and is quite chunky at 9.7mm thick, made more so by the odd sandwich look where the plastic bezel changes to a metal bezel and back to a matte plastic cover. The power button sticks out like a small metal pimple. The camera lens is also a giant crater on the back and I was rather nervous it would be damaged by stuffing into my bag. One of Sony’s home-grown app offerings (available for download on the Play Store) worth taking a look at is TrackID, which is Sony’s version of the better named Shazam. It recognises tracks after about seven seconds of sound. While it has trouble with songs which start slowly, and with some classical music tracks, TrackID works well and is fun to play with. Plus, if you are in the gym and hear a song you like, no need to dream wistfully of learning its name just whip your phone out and point at the speaker. There’s also Sony’s Smart Connect function which allows you to set cues or timers for given actions or events, such as playing a particular song or playlist when you plug in your headphones or turning off GPS and data traffic automatically when the device is plugged into a charger. 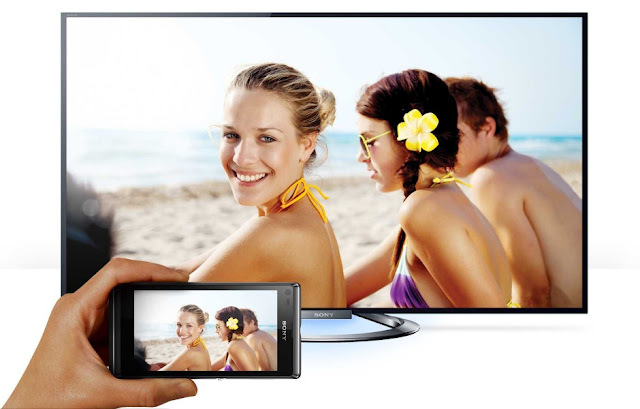 The Xperia L has, like most of the Xperia range, the ‘Throw’ feature, which plays media, such as movies and music, on other DLNA devices. DLNA is a set of interoperability guidelines set up by Sony and devices need to be certified to use the Throw feature. Such devices include the Samsung S3 Mini, but not iPhones (as far as we could tell). This is a neat sounding feature, even if there are various alternative media sharing options out there, but it had limited functionality. The Xperia L has the one-touch mirroring capability, which only works with NFC-enabled Bravia TV, again a limited usage. This allows you to play pictures and movies through your TV. The Xperia L is PlayStation Certified, meaning you can run games from the PlayStation Store. So why are not we jumping for joy? Well, at start-up it declined to open applications downloaded from an ‘unknown source’. There are not many games on offer, plus what’s there is pretty expensive; there are only a few free games (one of which includes the Lite version of Lemmings 3D). The lack of Sony-authorised games is also disappointing, particularly for a phone which seems to have been designed to play games. We remember when Sony was famous for leading the way in console games. The Xperia L did well in battery tests, with our light to medium usage including streaming movies, playing games, browsing the Internet, searching on maps, texting, calling and checking email. The phone lasted more than 12 hours, although not much longer; after the 13-hour mark it needed to be plugged in for re-charging. Sony reckons the L can wake from sleep and take a picture in seconds. In fact I found it took considerably longer. The lag means the shutter needs to be pressed a split-second before the picture you wanted, because otherwise it was likely you’d miss it. The camera does okay in low light but not wonderfully, with photos appearing grainy and colours washed out. On an overcast day, the Xperia L also showed a tendency to have hazy light and clearly discernible blocks of blurry sunshine. Generally the Xperia L takes crisp, clear photos with good detail and colours. The Xperia L costs more than other budget phones such as the Nokia Lumia 620, which outperforms it for £19 less. However, as a Windows phone, the Lumia lacks access to the range of apps on the Play Store and Android’s openess, if that’s your thing. The benchmark at this price level is the Google Nexus 4, which is superfast but has limited storage or personality. All things considered the Xperia L is a decent smartphone. Should you get it or the Lumia? It really comes down to what you want out of your handset access to lots of apps and more storage versus a great camera, map features and a superfast processor.